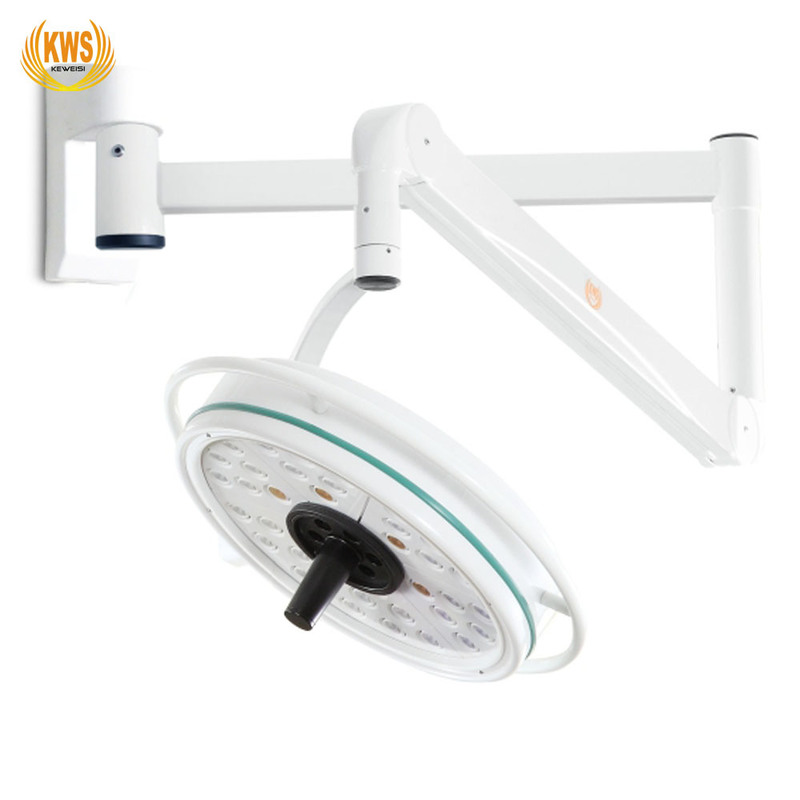 Â This product uses 36pcs 3W international brand LED light source.Brightness is high and can be adjusted.The illumination depth can reach 200mm. 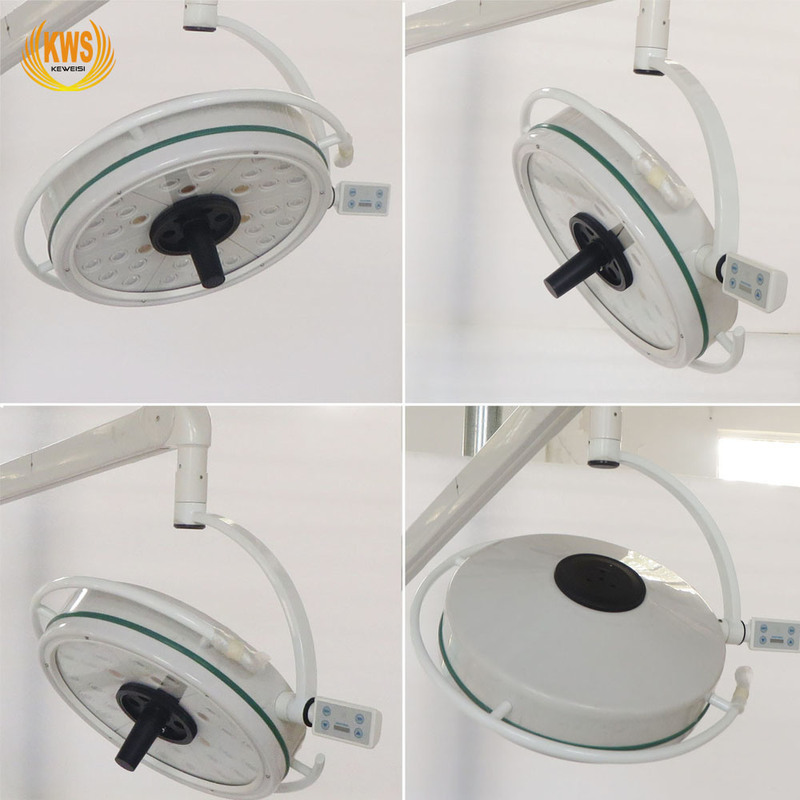 It's mainly composed of the lamp plate, spring arm and wall hanging bracket.Lamp plate diameter is 500mm,bigger than general check lights,a little smaller than shadowless lamp. 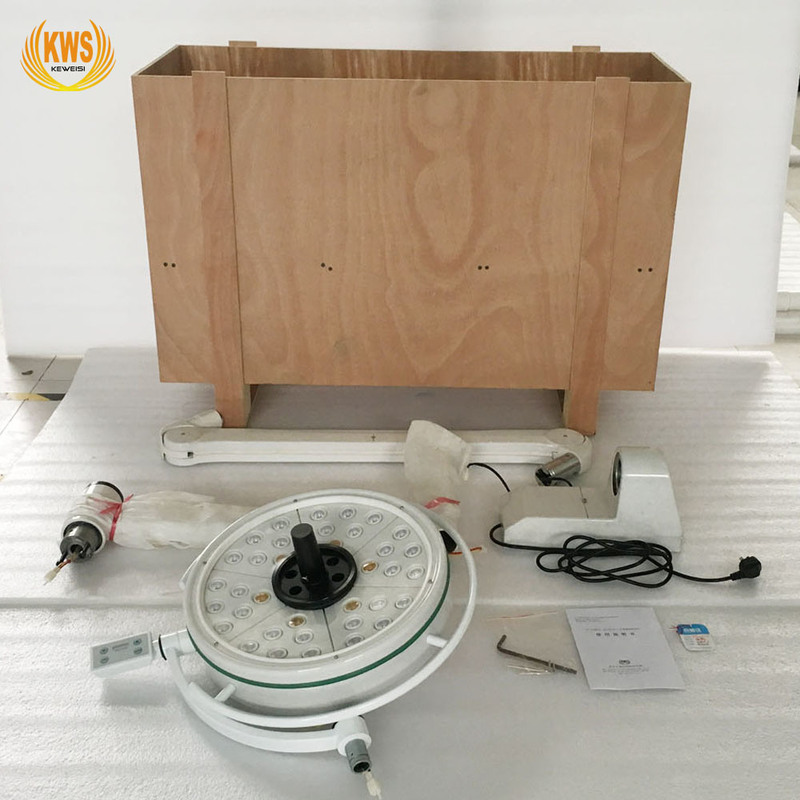 It's better than examination lights and shadowless lamps,as the examination light illumination depth is light,the illumination is low and has no shadowless effect,furthermore the shadowless lamp price is expensive. 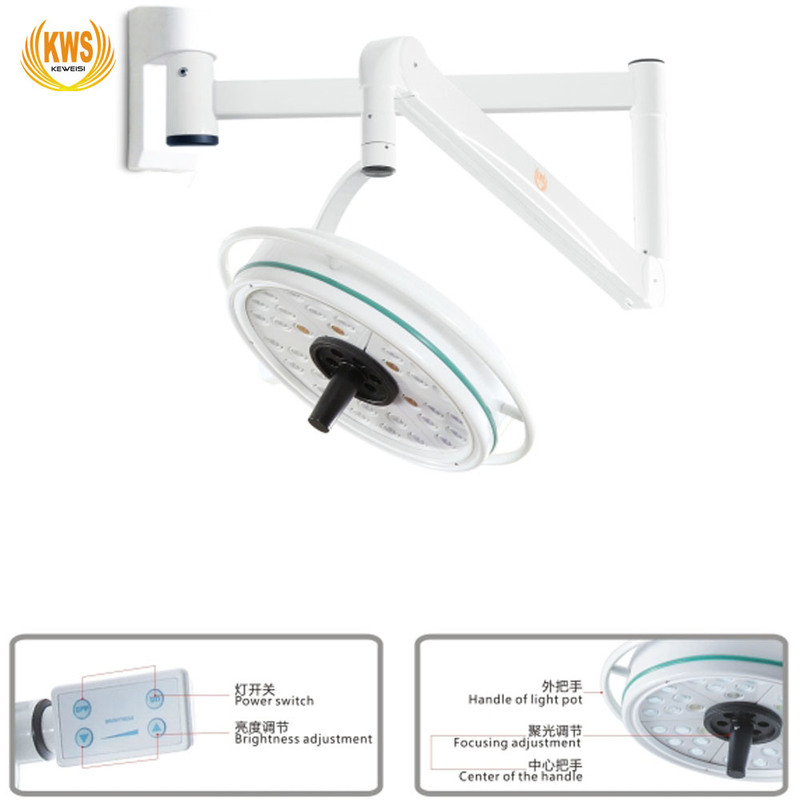 It's easy to install on the wall.The lamp and lamp arm can rotate freely.Multi angle lighting.When don't use ,can be closed beside the wall.So can save space. 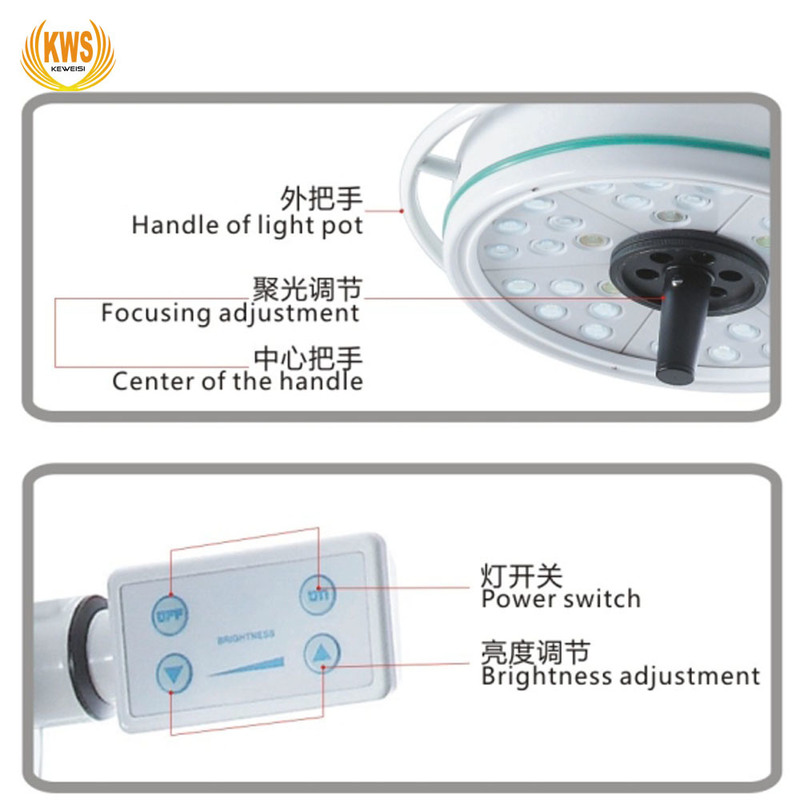 This product adopts wide voltage input,low voltage output.The performance is stable and safe.It adopts high quality spring arm,the positioning is accurate without displacement. 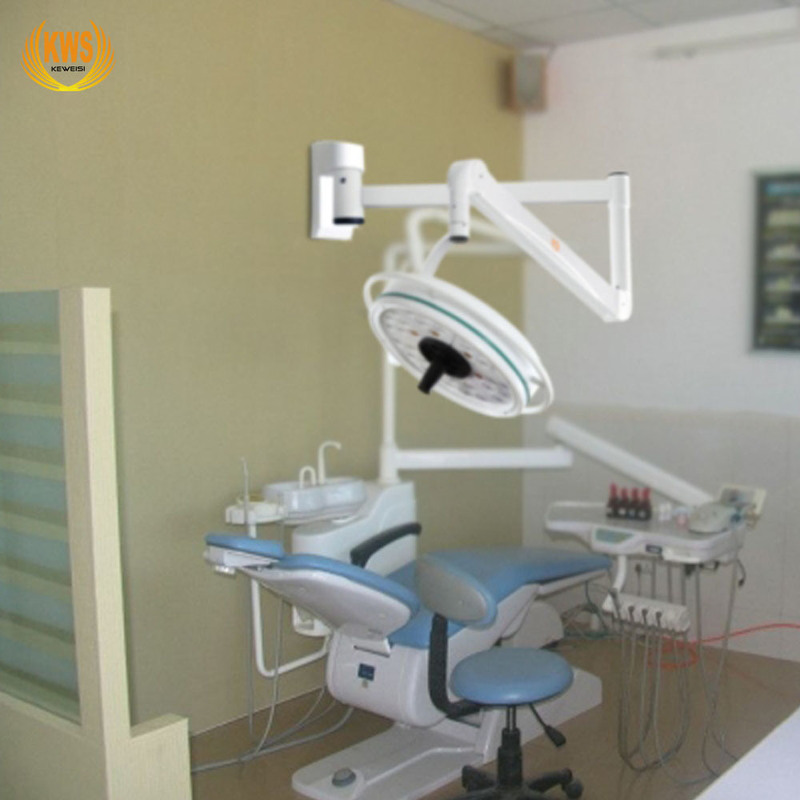 It's used in section for outpatients,mouth,gynaecology,medical cosmetology for checking and operation lighting,but also fo pet medical field. 3.Long wingspan,it can rotate 180Â°. A wide range of lighting. Wall-placement to save space. Shortage:have high requirements on the frimness of wall.